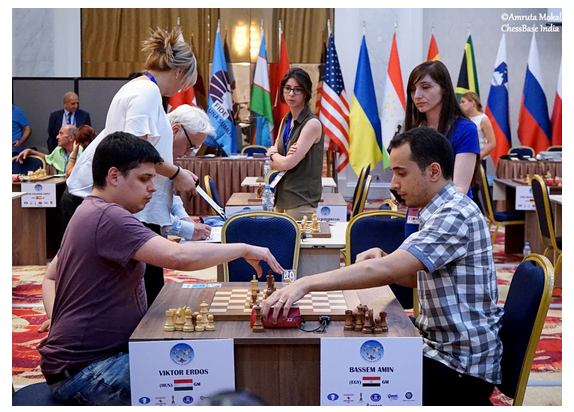 Gambit Bonnevoie top player Victor Erdős has started successfully his adventure in the FIDE Ches World Cup in Tbilisi, Georgia, by beating world’s number 48 Amin Bassem from Egypt in an exciting tie-break. Now he is playing living legend Peter Svidler, ranked 16 in the world. The second Gambit Bonnevoie Grandmaster playing in the competition, Vitali Kunin, did not manage to surprise world’s number 26 Le Quang Liem from Vietnam.